Born in Baton Rouge, Louisiana, Taiwanese-American trombonist Peter Lin has been recently described by Downbeat Magazine as “solid, fluid, and smooth”. He received his B.A. Music from William Paterson University and MM for Jazz Trombone Studies at Rutgers University. He is currently a faculty member at Jazz House Kids in Montclair, NJ. Deeply rooted in the trombone tradition, he has studied with jazz luminaries such as Slide Hampton, Curtis Fuller, Conrad Herwig, and Steve Turre. As a featured soloist and sideman, Peter has performed with world-class jazz artists including: Slide Hampton, Steve Turre, Steve Davis, Rufus Reid, Victor Lewis, Kenny Barron, Winard Harper, Charli Persip, Wayne Escoffery, Johnathan Blake, Josh Evans, Valarie Ponomarev, Jack Jeffers, Kenny Davis, Steve Williams, Anthony Nelson Jr., and Radam Schwartz. Most recently, Peter Lin performed at Slide Hampton’s 85th Birthday with Steve Turre, Kenny Barron, Rufus Reid, and Victor Lewis. With various groups of all musical genres, he has performed at popular festivals including: The Clifford Brown Festival, The Riverview Jazz Festival, The Brooklyn Hip-Hop Festival, and established venues such as the Blue Note, Jazz Standard, Dizzy’s Club Coca-Cola, Smalls, and Fat Cat. He is also the leader of The Lintet, which just released a new album With Respect, featuring jazz arrangements of Taiwanese and Chinese popular songs. In addition to being an active performer, Peter Lin is a dedicated educator, teaching in both the private lesson setting as well as the classroom. His students have gone off to college such as Montclair State University for music. He is also the manager of NEA Jazz Master Slide Hampton. He has been involved at Jazz House Kids for over three years as a faculty member as acquiring past titles as Assistant Manager of the Summer Workshop and Manager of the Emerging Musicians Program. He also has worked at the Jazz House Summer Workshop, the Jazz Arts in Red Bank, and Newark Academy’s Summer Jazz Camp. Peter Lin remains heavily involved in the New Jersey jazz scene as a current member of the NJJS board and running weekly jam sessions as local venues. 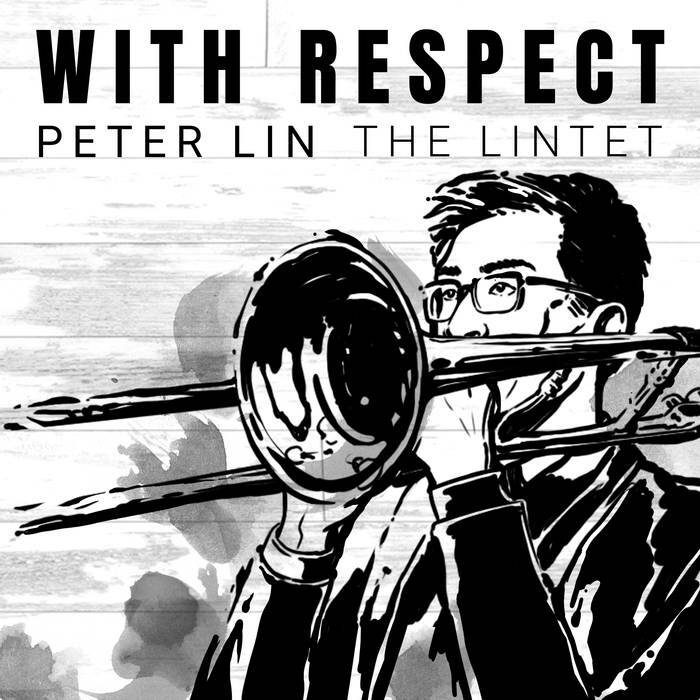 Taiwanese-American trombonist Peter Lin releases his first album With Respect, which pays homage to his cultural and musical upbringing. As a tribute to his mentors, family, and friends, he combines his past and present experiences within the jazz idiom. From his recent relationship with NEA Jazz Master, Slide Hampton, to his involvement in the Taiwanese-American community, he explores different paths towards creating a wholesome variety of musical arrangements and compositions. He is joined by his colleagues in the musical realm, including notable artists, such as: Winard Harper, James Zollar, and Anthony Nelson Jr. With Respect primarily features jazz arrangements of repertoire from the Chinese and Taiwanese popular songbook, as well as an original composition and an arrangement of Slide Hampton’s blues.